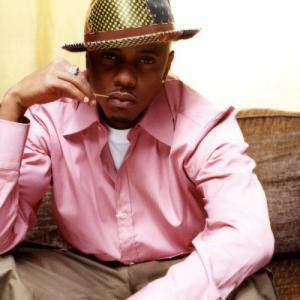 Donell Jones was born on the 22nd May 1973, in Chicago, Illinois USA, and is an R&B and soul singer and songwriter, best known for such hits as “U Know What’s Up”, “Where I Wanna Be”, and the cover of Stevie Wonder’s “Knocks Me Off My Feet”. Jones’ career started in 1996. Have you ever wondered how rich Donell Jones is, as of late 2016? According to authoritative sources, it has been estimated that Jones’ net worth is as high as $500,000, an amount earned through his successful career in music. In addition to recording seven studio albums, Jones has also released a compilation album which improved his wealth too. Donell Jones was born in Detroit but grew up in Chicago’s South Side, where he lived with his father, who was a significant influence in Donell’s life – he was a gospel singer, and Donell wanted to follow in his footsteps, so at age 12, he began to write songs, and as a teenager, Jones sang with the vocal group The Porches. Donell started writing songs for Usher, and eventually, music saved his life as he turned to singing instead of joining any of the local gangs. In 1996, Jones signed a professional deal with Untouchables/LaFace Records, and released his debut studio album entitled “My Heart”, which reached No. 180 on the Billboard 200, while it peaked at No. 15 on Top R&B/Hip-Hop Albums. The singles “In the Hood”, “Knocks Me Off My Feet” and “You Should Know” were among the most popular out of 15 songs from the release, and it certainly help increase his net worth by a large margin. In 1999, his second studio album called “Where I Wanna Be” came out, and was more than successful as it achieved platinum status, while it peaked at the No. 35 on Billboard 200, and No. 6 on Top R&B/Hip-Hop Albums. His worldwide hit single “U Know What’s Up” entered the top 10 on the Billboard Hot 100, while “Where I Wanna Be”, “This Luv”, and “Shorty (Got Her Eyes on Me)” were quite notable as well, adding a considerable amount to his net worth. In 2002, Donell’s third studio album “Life Goes On” was released and it achieved golden status and reached No. 3 on the Billboard 200, and No. 2 on US Billboard Top R&B/Hip-Hop Albums; “You Know that I Love You” and “Put Me Down” (featuring Styles P), were the most popular songs from it. Four years later, Jones recorded “Journey of a Gemini” which featured such names as Jermaine Dupri, Bun B, Fat Joe, Ja Rule, and Clipse, amongst other guests, and topped the US Billboard Top R&B/Hip-Hop Albums chart while it peaked at the No. 15 on the Billboard 200. His latest three albums were: “The Lost Files” (2009), “Lyrics” (2010), and “Forever” (2013), but they failed to achieve significant commercial success, although maintaining his net worth. Regarding his persona life, Donell Jones is not married nor is he in a relationship at the moment as he is currently focused on his career. Donell had drinking problem earlier in his life, but with the intervention of family and friends, that’s way behind him in the past. Dance Flick 2009 performer: "U Know What's Up"
Scary Movie 2 2001 performer: "U Know What's Up"
Save the Last Dance 2001 performer: "U Know What's Up"
Soul Food 2000 TV Series performer: "Where I Wanna Be" / writer: "Where I Wanna Be"
Shaft 2000 performer: "Do What I Gotta Do"
Love & Basketball 2000 performer: "I'll Go"